Ford documentation describes the car as having been delivered to the Stock Vehicles Department at Ford. 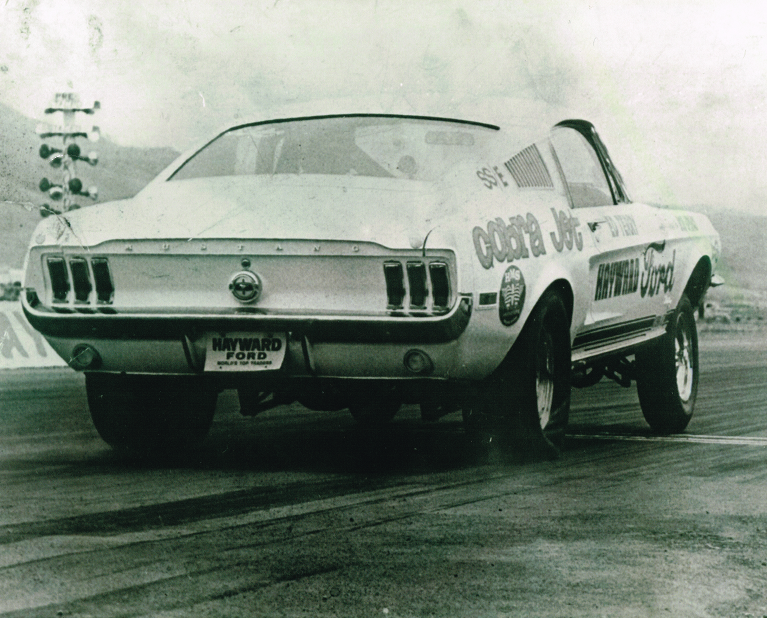 It is also described as "To be returned from NHRA Feb. 15, 1968. To be sold to run in Southwest area.". Other documentation describes it as being picked up from the Wixom assembly plant on January 6, 1968, by Holman & Moody Truck for delivery to Holman & Moody-Stroppe in Long Beach, CA.